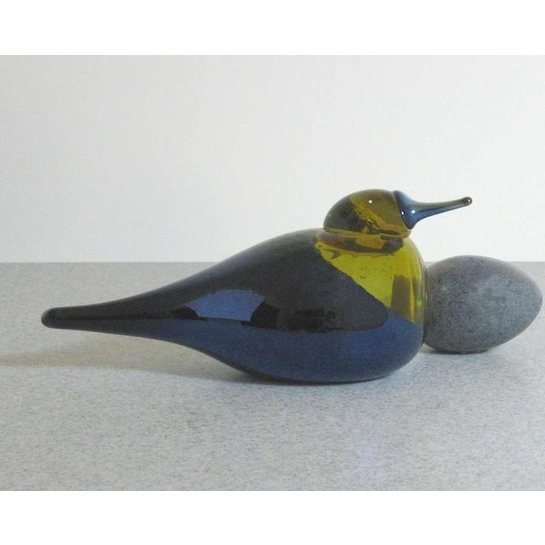 More about iittala Toikka Pacific Waterfowl The Pacific Waterfowl was designed by Oiva Toikka for the Tacoma Museum of Glass Iittala event. The idea for the bird came during the previous year's event, where Toikka and other event staff were out to lunch at a waterfront restaurant. 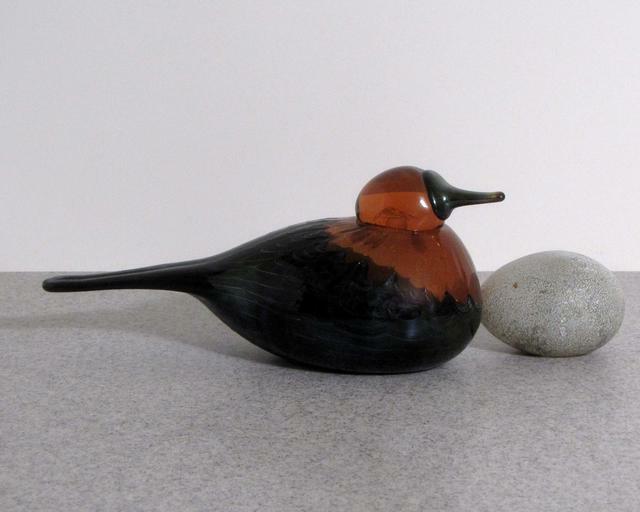 He was taken back by the variety of water fowl that were seen dining alongside them, and wanted to design a bird that honored the diversity of that family of birds. So, Pacific Waterfowl (not a real species of bird) was born. 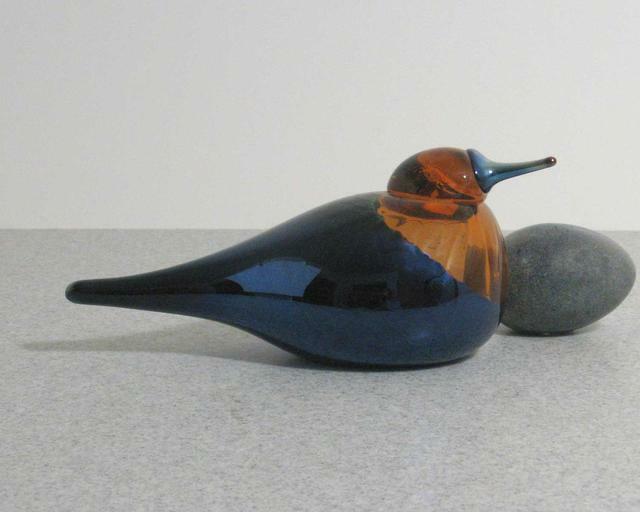 The master blows used a special type of glass called roseolive when blowing this bird. It appears green under florescent light, but turns orange-toned in natural sunlight. Paired with the beautiful blue hue, it's a stunning piece of art. 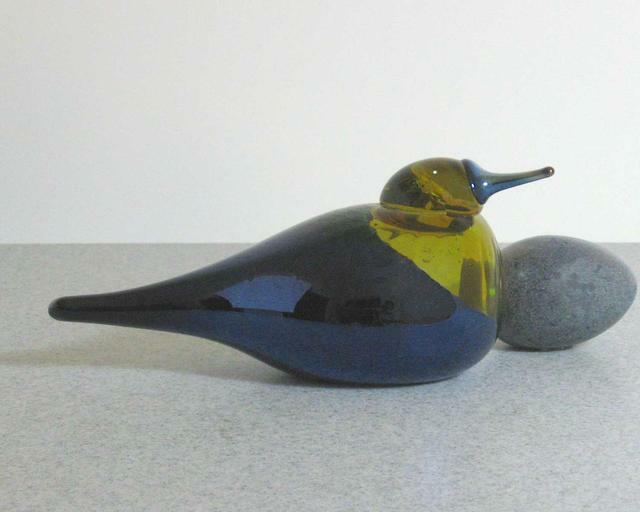 Only 1250 of the limited edition bird were produced, and each is numbered.